This past weekend I made a trip up to the Bosque del Apache to see the cranes. 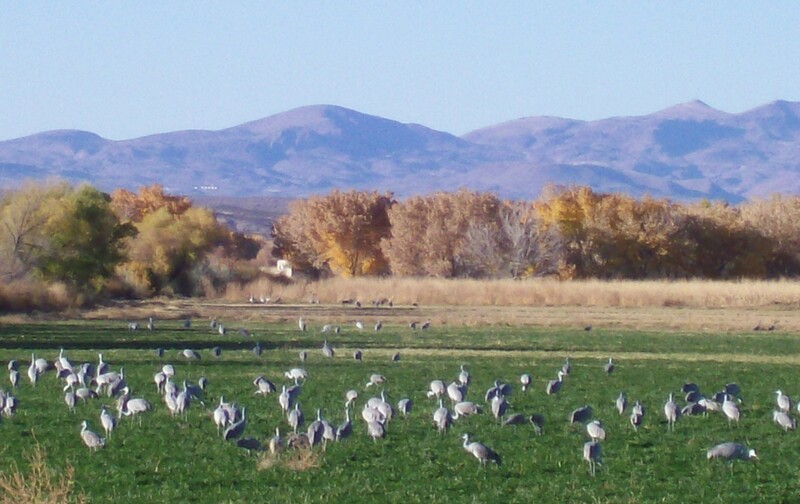 The Bosque is a national wildlife refuge established twenty-five years ago to provide winter forage for migrating sandhill cranes and snow geese. The refuge is only about 120 miles north of where I live, not a long distance by New Mexico standards, especially on the Interstate, but I had never been there during the winter season. There were a fair number of cars taking the loop road and stopping to see the ponds and fields, but I am sure I avoided much larger crowds who will come for the Festival of the Cranes next weekend. I missed the move of the geese from the pond to their roosting areas. The pond had hundreds of geese in it when I drove into the area. Cars were lining up along the pond to see the “show.” When I completed the loop road the geese had flown, leaving the water to a few brown ducks. I had come to see the cranes and I did. They were moving in small groups from field to field, feasting on the only young green plants for miles around. I had intended to hike and stay until dusk to see the cranes fly to their roosting places, but it was cold and windy. I decided to start for home before dark. I had been richly rewarded for my time and travel by this first view of the cranes and the unexpected sight of so many geese. This sounds like a special place indeed. I loved the photographs. To witness the fly-in from the fields at dusk is to experience a primeval world in play. Much honking and flapping, and cranes drifting down on great wings to settle in the shallow water along with thousands of snow geese. It’s a wonderful connection with the “other.” Very moving. Richard, I’m looking forward to seeing the fly in on my next visit. 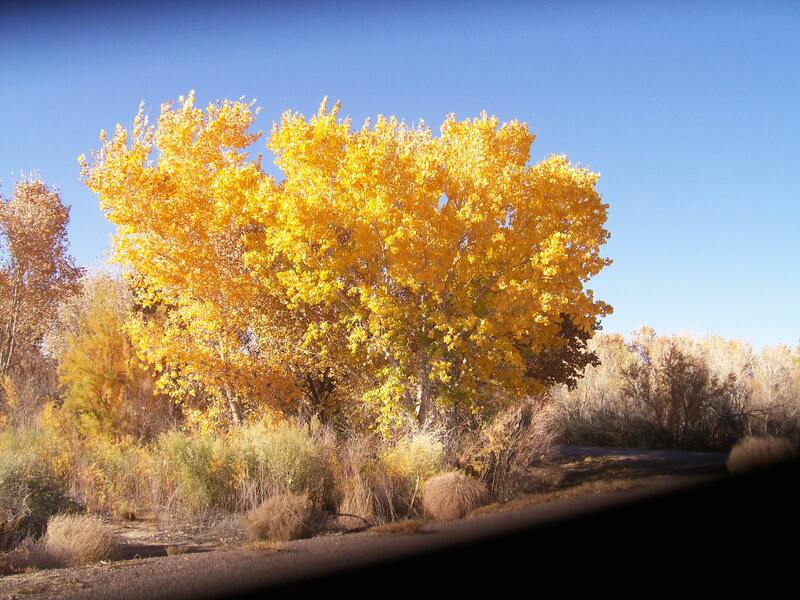 The bosque is wonderfully rich.